The Quirimbas Archipelago in Mozambique, with its beautiful pristine islands is an ideal playground for holidaymakers in search of sand, sea and plenty of days in the sun. and if you want to throw a touch of culture and history, then your ideal choice of Mozambique accommodation is Ibo Island Lodge. A holiday in the Quirimbas Archipelago offers an eclectic choice of accommodation to people seeking solitude and beauty, away from the hubbub of everyday life. Whether you are traveling on a tight budget or your pockets are deep, you will accommodation that will suit you. A Mozambique holiday at Ibo Island Lodge is characterised by beautiful beaches, magnificent seascapes, breathtaking sunsets, plush accommodation and superb cultural and historical experiences. The island was a trading post where slaves, gold and ivory were shipped to the Arab world. Treat your family to a holiday in Mozambique on the beaches of the Quirimbas, on safaris, diving and fishing or 4×4 packages for adventure seekers. Explore amazing dive sites and captivating colonial architecture when you fly into Pemba then head out to Ibo Island, Medjumbe, Matemo, Quilalea and Vamizi islands, all offering unique accommodation in either villas, beach resorts, hotels or cabanas. If Ibo Island is your choice, you will find out why it has been zoned for World Heritage status and offers countless stories of bygone days: about pirates, prisoners, turtle shells and silver. 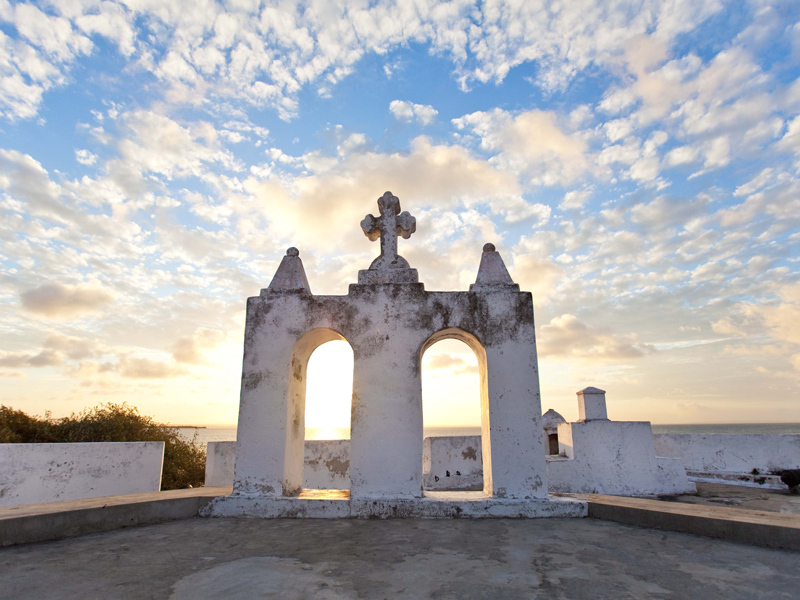 The island’s architecture has Portuguese, Dutch, Indian, Arabian and Chinese influences – with remnants of fortresses and other fascinating sights.The island works well as a romantic holiday destination for families, friends and honeymoon couples. Ibo Island Lodge is a hotel built on the 100 year old ruins of Portuguese history. At Ibo, guests will be spoilt with picturesque sunsets, breath-taking dhow rides and an introduction to a world of history and culture dating back some 600 years. Quirimbas holidays are spectacular, offering activities which include charter yacht holidays, overnight dhow safaris among other water sports. Contact one of our Mozambique destination consultants today.